Cyberspace is a global domain. That’s one of its special virtues. Today there are more than 2.5 billion internet users (that’s more than 1/3 of the world’s population) and nearly 1 trillion devices addressable on the network. From your laptop you can connect to almost anywhere in the world: you can read a Japanese paper or make reservations at a French restaurant. You can turn on the heat in your home and find the geo-location of your car. It’s a wondrous world. But what is true for the average users is also true for malevolent actors. Increasingly, we’ve come to realize that there are many out there who use cyberspace as a means for criminal activity, espionage, and even war. That problem – how to reap the benefits of cyberspace while minimizing the risks – is the fundamental challenge facing our society. It’s a complex problem mixing law, policy and technology. That’s why cybersecurity is on everyone’s lips. America and the rest of the world are trying to adapt to a new age where cyber warfare is a real possibility and where cyber espionage attacks occur on a nearly daily basis. 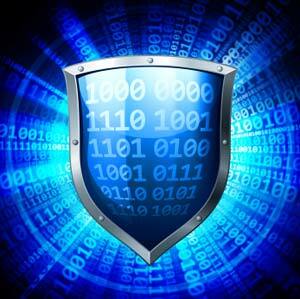 Private companies need to consider their own network security in ways they have never before contemplated. In short, the cybersecurity problem is one of the most significant challenges facing private citizens, corporate American and the US government today. And to understand the challenge well, you need someone who can speak all three languages – law, policy and technology. You need a translator. Paul Rosenzweig is one of the leading cybersecurity experts and translators of the new domain. He is an accomplished speaker and one of the leading thinkers in this new domain. 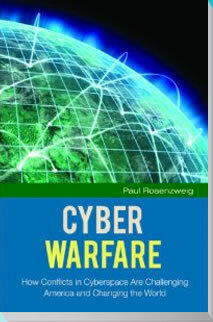 Paul teaches cybersecurity at the George Washington University School of Law. He is a Distinguished Visiting Fellow at the Homeland Security Studies and Analysis Institute. And he is a member of the most distinguished legal professional committee in this field, the American Bar Association’s Standing Committee on Law and National Security. Paul writes, consults, and talks about cybersecurity with technologists, military professionals, and politicians. In the pages of this web site you’ll find resources that will help you understand cyberspace and cybersecurity in easy-to-understand terms. Paul is available to speak to your meeting or company and to consult regarding your cybersecurity needs.